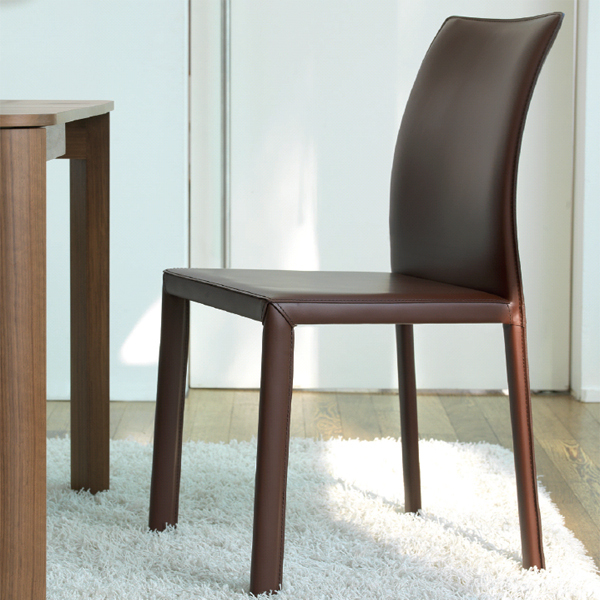 A modern dining chair with great clean lines. The frame is made from steel for strength. Seat, back and legs covered in hide leather, see sample links below for the full range of categories and colors.